My family is spending Christmas this year in Corning (the olive capital of California, in case you didn’t know). We kind of randomly picked it because of the Rolling Hills Casino and it was also kind of a middle-ground meeting point for all of us. 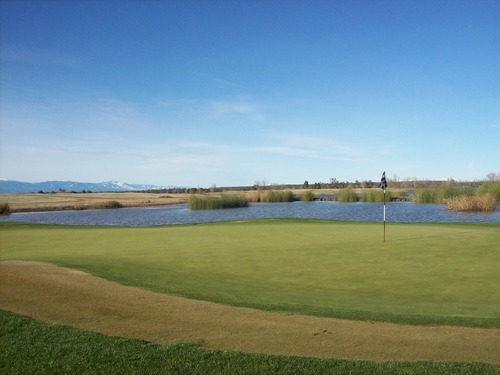 At first, I was lobbying for Cache Creek, where I stopped and played golf on Saturday at Yocha Dehe. 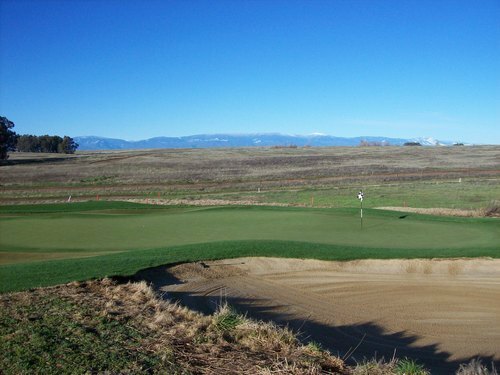 But Rolling Hills was also a fine choice because it is also home to an acclaimed Northern California golf course: Sevillano Links. 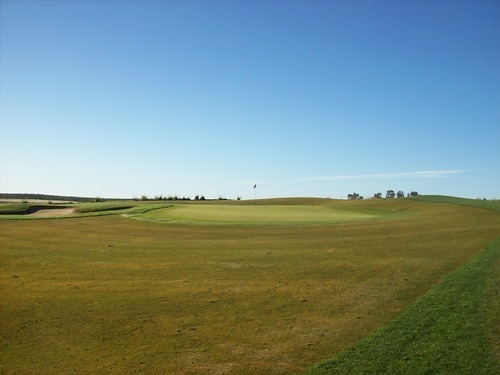 This is another course that’s been high up on my wish list, so I was glad I finally got to play it yesterday. My brother and I were initially planning to play here Sunday, but it was pouring down rain all day and we shrewdly chose to push back the plans an extra day. With yesterday being Christmas Eve, the course was only open for limited hours and they were having a shotgun start at 9:00. It was $45 a player with cart and range balls, so it was a decent holiday deal. We knew yesterday was going to bring a little break in the weather in between storms, but we couldn’t have imagined it would have turned out as nice as it did. It was very chilly, but the sky was bright blue and it was super clear out. 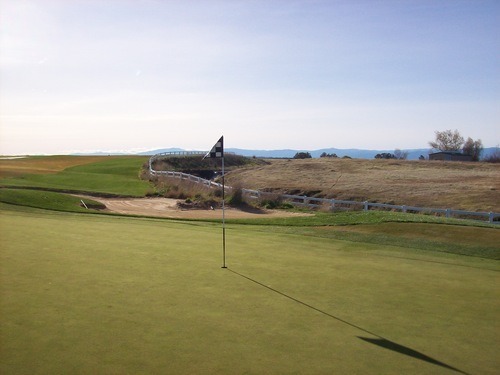 This course is set in a flat expanse of farmland, but there are mountain ranges way off in the distance in every direction, so it’s a very pretty setting for golf. The gorgeous snow-covered peaks of Mt. Lassen and Mt. Shasta could be seen on almost every hole yesterday. 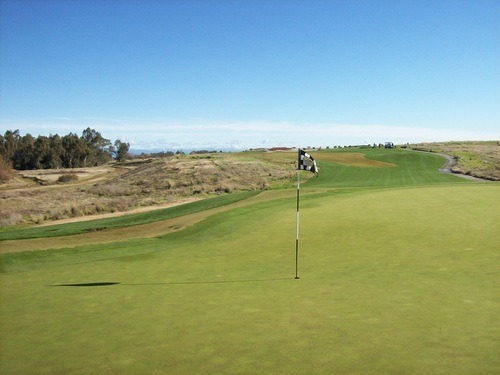 Sevillano Links is a true links style course and an ode to what you might find in the UK. 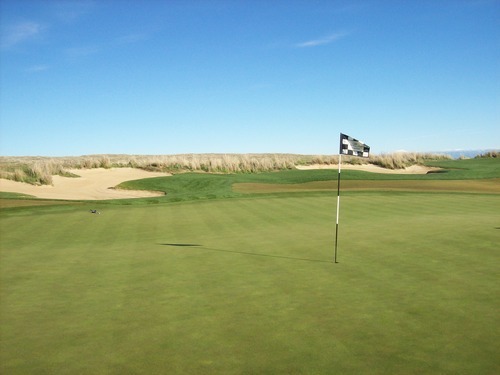 At times it reminded me of two other similar courses I played this year: Wild Horse in Nebraska and Purgatory in Indiana. 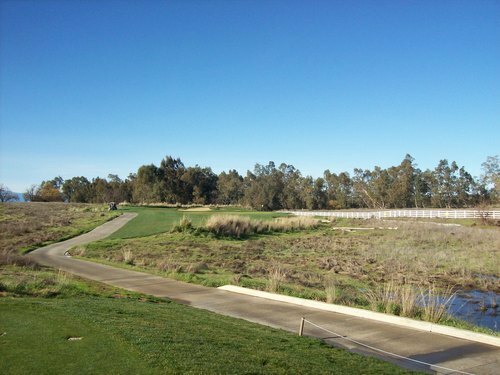 This course is very different than any other links-inspired course I’ve played in California, though. 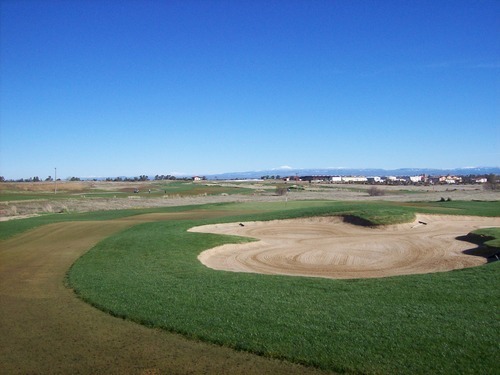 Those don’t quite compare to the twists and turns that Sevillano Links offers. 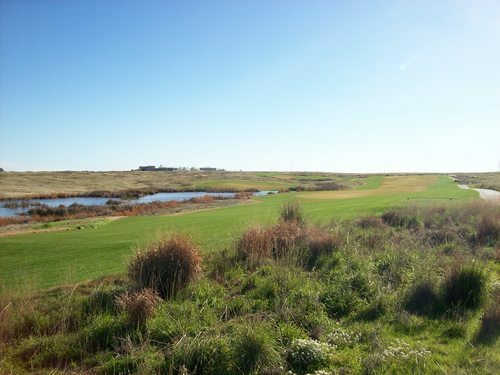 This course was designed in part by PGA Tour “bad boy” John Daly. I’m not sure how much involvement he had in the design, but it’s touted as a “John Daly Signature” course. Usually, a “signature” course means they had a lot to do with it. Either way, it definitely has elements that would make you think of Daly. The British Open style links design makes sense as he is a former Open Champion who always seems to play fairly well across the pond. More notably, Sevillano is LONG. Daly is known as a “grip it and rip it” type player who loves risk/reward shots. This course is full of those opportunities. 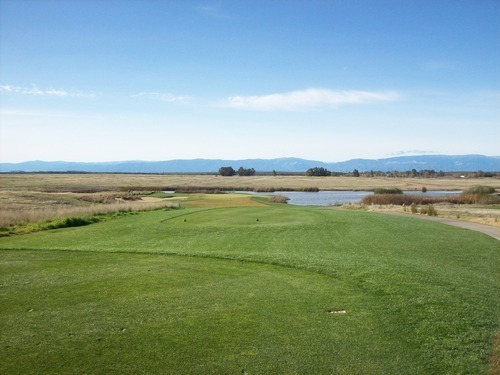 With most every hole having major doglegs, nothing is straightforward and you always have a choice of how much you want to bite off around each corner. There are five sets of tees here for every skill level. 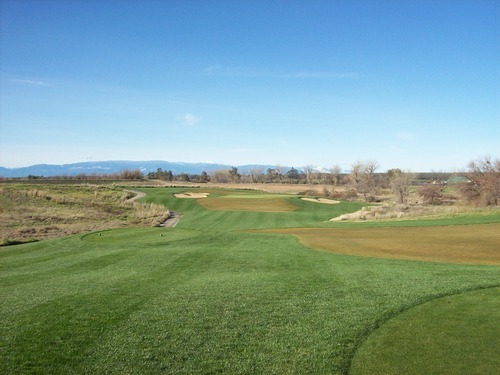 The Tournament silver tees are a lengthy 6,813 yards with a rating/slope of 73.4/130. But that’s nothing. 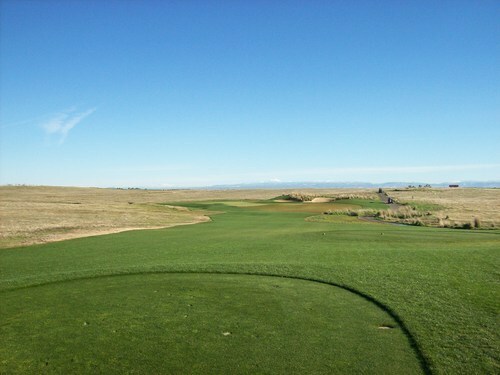 Then, there are the Championship gold tees, which run at 7,365 yards and have a rating/slope of 75.9/138. If you are feeling really sadistic, you can play the official “John Daly” black tees. 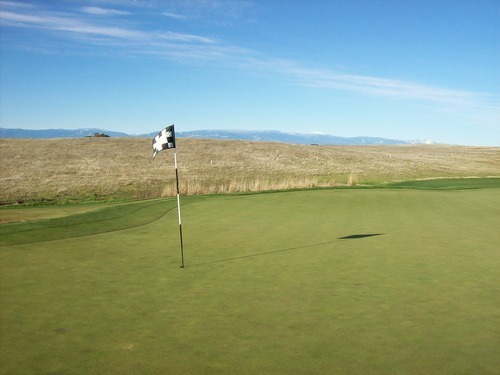 From the tips, this course plays at 7,823 yards! The rating/slope is 78.0/140, which is insane. From these tees, there are two par-5s over 600 yards, including the 686-yard 18th hole. There are five par-4s over 470 yards (two over 500). And, the shortest par-3 is 191 yards. The longest is a measly 262! If the length wasn’t enough, it appears a majority of the tee shots are blind from these tees based on what I observed. Because of the very wet conditions, Sevillano was cart-path-only for us, which meant a lot of extra walking. Knowing there wouldn’t be much roll-out on drives as you could usually expect on this type of course, we chose to play the forward Challenge tees, which are still 6,215 yards. With yesterday’s soggy conditions, it still played more like 7,000. 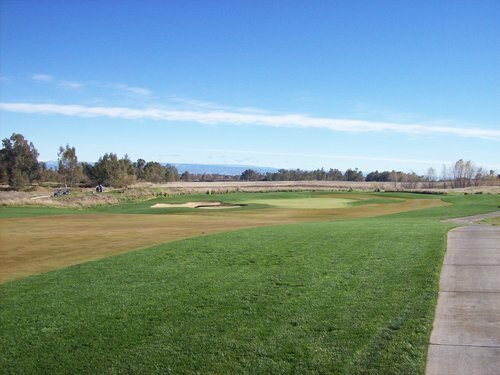 The fairways had recently been aerated and were very squishy with a lot of water, which made this very long and challenging course even tougher. 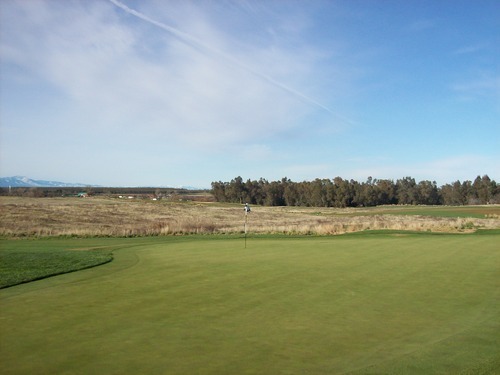 They also keep the fairways dormant in the winter here while the rough is overseeded, which provides a rather unique look. 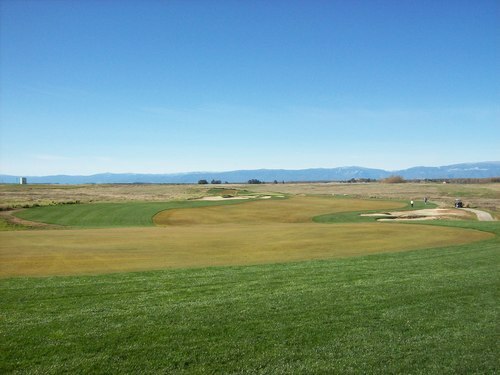 The first cut of rough was downright immaculate. It almost looked like fake grass in some areas because it was so green, lush and perfectly manicured. Then you have the long native grass areas, which were hit and miss. 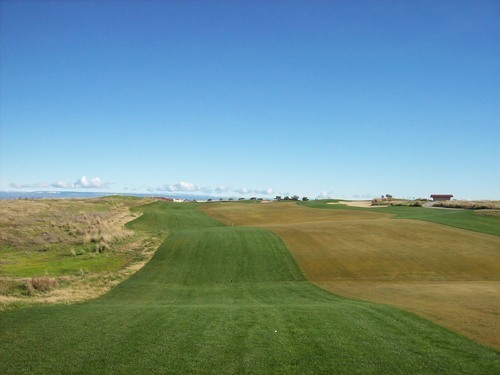 Some areas weren’t too bad with open places, then there were others with big patches of fescue that just swallowed up your ball. 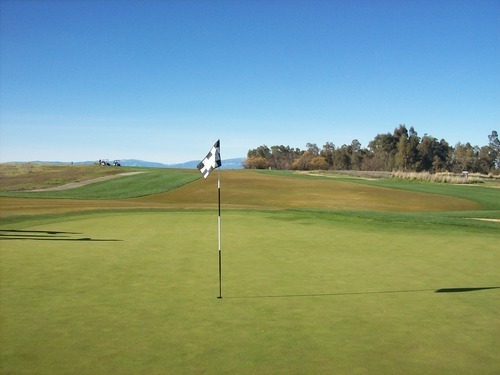 The greens were excellent—very smooth and medium/quick speeds. The rain made them more receptive today than I would guess they normally are. They do have lots of subtle breaks and undulations that make them hard to read. The sand traps were a bit damp, but the sand was very nice quality. The practice areas were very nice. 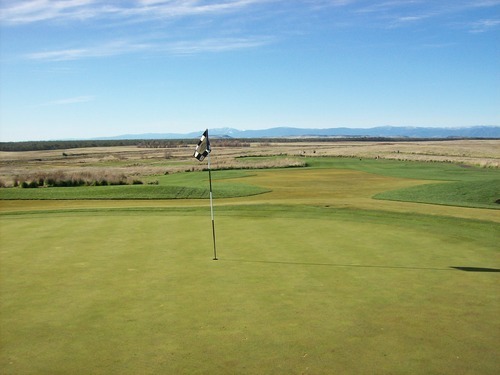 There are two putting greens, a short game area and a beautiful range that has more green grass than the course itself and is framed perfectly by the golden native grasses on either side. 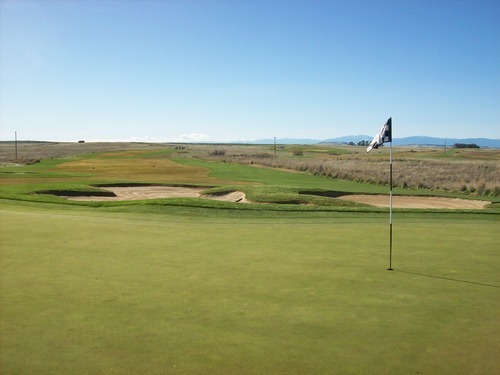 This is a very neat links course that’s now among my favorites in Northern California. 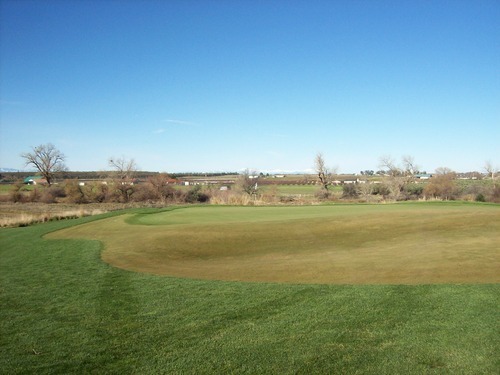 Like Yocha Dehe on Saturday, I’m very impressed at how well kept up the course is—especially the rough and greens—given that we’re in the harsh winter season. I really look forward to coming back here in the summer when I can play the course as it’s supposed to be played—with a lot of tight lies and extra roll-out to help on some of the super long holes. 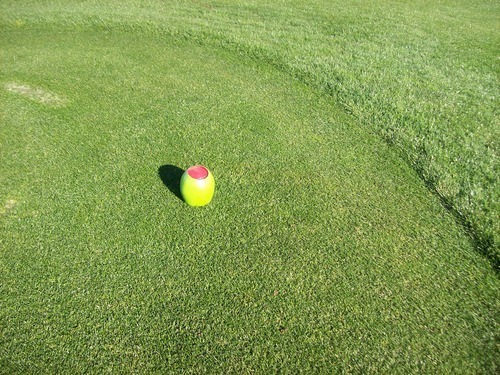 Of course, the tee markers were in the shape of olives, with the women’s tees being green/pimento to stand out. Note: I returned to this course in 2013 and posted an updated review and a few more pictures. You can check out that review here.